A 16-year-old pilot has walked away unharmed after making an emergency landing in the New South Wales Snowy Mountains. Stacey Gibb, who was on his fourth solo flight, took off from the Jindabyne airport yesterday and the alarm was raised when he did not return as scheduled. The region’s rescue helicopter was called in to help search for the teen, who was found just before 7:00pm. The single-engine, two-seater Jabiru was resting in a paddock near Khancoban on the western side of the mountains. Police said low light and fog prevented him from returning to Jindabyne, so he made an emergency landing and walked to a nearby property to raise the alarm. An instructor from the club went out to collect him after the incident. Stacey was participating in the Snowy Mountains Grammar School’s Aviation Program at the time of the incident. The school’s principal Andrew Bell said the teen acted calmly under pressure when he had to divert from his specified flight path, and landed safely. “His flight instructor is very proud of how he managed the situation and maintained his composure to successfully land the aircraft,” Mr Bell said. The plane had some minor damage to its undercarriage. ACT Emergency Services Agency acting commissioner David Foot said it was “a good news story which had an alarming start”. “We had a report of an aircraft overdue between Dalgety and Jindabyne just after 5:00pm,” he said. 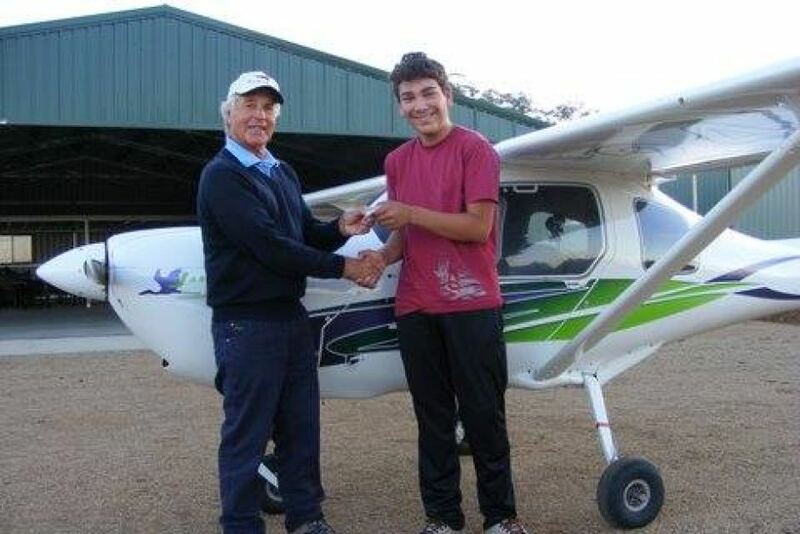 Recreation Aviation Australia’s chief executive Michael Linke praised the young pilot. Mr Linke said the aircraft was not registered to fly in the dark and the teen made the right decision to land. “Most of the problems that we see with our pilots, whether they’re 16-year-olds or 80-year-olds, [are] around decision making,” he said. “This young chap exercised all the appropriate decisions that we want our pilots to make before they get themselves into strife. Officers from the Albury Local Area Command are investigating the incident and the Australian Transport Safety Bureau have also been notified.